10 år av Samsung Galaxy S. S10+ är bara en av de fem telefoner som den Sydkoranska tillverkaren utannonserade under sin Galaxy UNPACKED-event, men den är för tillfället den största Galaxy S10-modellen som finns att förboka. S10+ har en stor och nästan kantlös Dynamisk AMOLED-skärm vars yta endast avbryts av hålen som innehåller de framåtriktade kamerorna. Det nya flaggskeppet drivs av en snabbare SoC, har fler och bättre kameror och kommer med 1 TB intern lagring. Läs vidare för att få reda på huruvida Samsung har gjort tillräckligt för att skapa en smartphone som är värdig att fira Galaxy S-seriens jubileum med. Samsung spar verkligen inte på krutet här, och Galaxy 10 Plus levererar toppkvalitet i allt den tar sig för. En del uppgraderingar är försiktiga och förväntade, medan andra överraskar positivt. However, for everything else the Galaxy S10 Plus is king. It has the best screen, it looks downright stunning, and offers generous storage, RAM and plenty of customisations. Once again, Samsung has managed to tick all the boxes. The Galaxy S10+ is not just an incremental upgrade over the Galaxy S9+. It is pretty much a substantial upgrade in every way possible, and yet Samsung manages to keep its design aesthetic intact. The Galaxy S10+ offers the best of Samsung for its price, but it is a pretty steep price to pay, so the question you will need to ask yourself is just how much you're willing to spend for a Samsung flagship. Samsung has delivered an incredible smartphone with the Galaxy S10+. It sports new tech features without giving up on the old ones like the 3.5mm headphone jack. At $1,000, it’s not exactly cheap, but if you have the money to spend, it’s definitely well worth the price tag. While the Galaxy Fold is going to steal the column inches in 2019, the Galaxy S10 Plus should be the phone everyone actually buys. It's fantastic. Overall, the device performs very fast and with few days of use, I didn’t notice any lag even doing heavy multitasking. One of the interesting features is the wireless power share. So, we can charge any other wireless charging enabled device including iPhone Xs whose battery doesn’t last long. However, it’s been awhile since we’ve been really hyped about a flagship from the Korean company and we think that Samsung has knocked it out of the park with the release of this year’s trio of S series devices. Yes, you have more than the usual two options to choose from with the S10e providing the most value but, if you really want all the bells and whistles the brand has to offer at this point in the game then look no further than the Samsung Galaxy S10 Plus. For me, the Samsung Galaxy S10+ is the benchmark for an Android flagship at the moment. This phone is not about gimmicks, but about making life better whatever you do. This will be the phone others will be playing catch up with for rest of the year. It’s hard not to ignore that Samsung has done very well with the Galaxy S10 series this time and the Galaxy S10+ is a testament to that. The polished design, impressive performance, and up-to-spec camera system are all on-point, not to discount that they bumped up everything from the RAM (up to 12GB) and the storage (up to 1TB) to insane proportions. Samsung is indeed showing its might and saying it has not run out of ideas yet. Provided you don’t need the Galaxy Note 9’s stylus, the Galaxy S10 Plus is the ultimate Android phone for power users. It gives you a big and immersive full-screen experience, very capable cameras and fast performance in a slick design that makes the Pixel 3 XL look downright dowdy. The 12.5 hours of battery life also makes the S10 Plus the longest running Samsung phone ever and one of the longest-lasting phones you can buy. Ultimately, there's a lot in the Samsung Galaxy S10+ that's the same as before. If you're looking for refreshed excitement then the Galaxy S10+ doesn't really offer that. But it does offer a great experience with strengths in all areas and will certainly be one of the best phones of 2019. If you’re looking for the biggest, fastest, most feature-packed Galaxy smartphone available right now, this is it. At least, until the Galaxy S10 5G and Galaxy Fold launch in a few months. The Galaxy S10 Plus boasts the same stunning fit-and-finish we've come to expect from Samsung, but now sports a bigger display, bigger battery, more camera features, and faster internals. If you’re looking for the ultimate Samsung Galaxy S10, look no further. However, those who aren't already convinced by mammoth displays, likely won't find enough here to reconsider. Still, even without the newest specs and features, the S10+ could very well still end up being Samsung’s mightiest hero. It might not deliver the sci-fi sizzle of the Galaxy Fold. But like Captain Marvel, sometimes old school is all you need to properly defend the Galaxy. Samsung's Galaxy S10+ isn't the perfect smartphone, but it's certainly a much closer attempt than we've seen from many others thus far. The GS10+ is a fantastic Android device that looks great, feels even better, sports truly innovative features and delivers excellent battery life. It's certainly a little too pricey for our liking, but as far as high-end flagship smartphones go, we think the Samsung Galaxy S10+ is now the phone to beat and a new bar has been set for the field. There’s no denying that the Galaxy S10 is the absolute cream of the premium Android phone crop right now. It has the fastest processor, the most RAM, the most storage, and the best display money can buy. And it’s all wrapped in a beautiful package that’s hard to find much fault with. Priced at Rs 73,900 for the base model with 8GB of RAM and 128GB of internal storage, the Galaxy S10 Plus is a complete package with no major features missing from the list. From water and dust resistance (IP68) rating to a class-leading imaging prowess and DeX computing support, the phone has something in store for everyone. If premium smartphone is what you are looking for and Apple iPhone XS-series is not your thing, this one is just the right option. Despite it's exorbitant price, the Samsung Galaxy S10+ is a glorious machine that doesn't miss a beat. The battery is immense, the cameras are superb and the display is so great we find ourselves unlocking the handset just to stare at it. Performance gains over last year's series are immediately noticeable whether browsing apps or playing games. This is a great handset but you'll want to get it on a contract given the R21 999 price tag. The Galaxy S10+ is an amazing phone. For a tenth anniversary flagship, it comes with just the right amount of new features. The smaller bezels make for a compact design, the Super AMOLED display is beautiful, the ultra-wide rear camera is great to have, the in-display fingerprint sensor is nifty, and battery life is better than any previous Galaxy S flagship. But as a single phone (in two sizes), the Galaxy S10 gets as close as possible to fulfilling the promise of being the best phone for the widest range of people out there — provided, of course, they're able to pay $900 or more for a phone to start with. Without caveats or questions, I can recommend a Galaxy S10 or S10+ to anyone and not worry that it'll be missing something they want or rely on in a modern high-end smartphone. Once you've found the Galaxy S10 for yourself, there's little reason to look any further. Samsung wanted to create something remarkable for the Galaxy line's 10th anniversary, and for the most part, it succeeded. The Samsung Galaxy S10+ does look like a phone from the future with its brilliant display and the fingerprint reader built into it. The software experience makes sense, and we're glad to see Samsung approaching it from a more practical perspective rather than just cramming in features for the sake of having them. And no less importantly, the hardware behind that software is the most powerful you can get on an Android phone today. Then there’s Huawei’s Mate 20 Pro at Rs 69,990 that gets you a stunning design, a really good camera, great battery life but bloated software that somehow manages to keep up. zThe Samsung Galaxy S10+ is a high-cost 4G phone at the beginning of the 5G era. It's excellent, but you can get almost the same performance elsewhere for much less money. The Samsung Galaxy S10+ is a brilliant smartphone with a powerful processor and a stunning display. The new hole-punch design from Samsung allows for a big display in a relatively small body. Samsung has also managed to price the Galaxy S10 series well with respect to the competition, giving these phones an edge. Big, brilliant and dripping in tech, this is what we want from a top-end phone, although it deserves a few software upgrades in the coming months to keep up with the competition. The Galaxy S10 Plus is a very good smartphone despite not being a huge upgrade from the S9 Plus. The cut-out cameras are no bother though and this display is absolutely the best on the market. It's packed with premium features. Three cameras, three views: You can take a photograph utilizing any of the three lenses simply by tapping the on-screen icon. I primarily shoot with the usual 12-megapixel lens, switching to the telephoto to go shut up (2x) on a faraway element, just like the statue on prime of a fountain, or to the ultrawide lens to suit extra of my buddies or the scene into the shot. Ultrawide angle has a 123-degree discipline of view, so it does distort the picture barely and also you may discover that your mates look a bit stretched. After 10 years of Galaxy phones, it’s easy to dismiss the S10 as just another smartphone that doesn’t really offer anything new or groundbreaking. That isn’t necessarily wrong; I don’t think there’s much of a reason for S9 or even S8 owners to run out and spend $1,000 on an S10. Samsung itself is going to release a wild folding phone in two months, and the S10 is just another slab smartphone like we’ve had for years. I've been using the Galaxy S10 Plus to cover the MWC show here in Barcelona, and it's been a real crash course on this phone as my daily. It has my SIM card in it, which means it's my No. 1 for literally everything a person does on a phone. I've used to to take scads of photos and videos, navigate all around Barcelona and tether to my laptop to deliver roaming network data. The Samsung Galaxy S10+ is available in different variants, the 128 GB storage variant with 8 GB RAM is priced at Rs 73,900 whereas the 512 GB storage variant with the same 8 GB RAM is priced at Rs 91,900. The top-most variant of the phone has 12 GB RAM and 1 TB of storage and it is priced at Rs 1,17,900. Overall an excellent buy if you are looking to buy a premium Smartphone. If you are using the Samsung Galaxy S9 Plus then too you can consider upgrading. The Samsung Galaxy S10+ tops the DxOMark for selfies scoring 96 points and ties for the best camera at 109 points. The Galaxy S10+ is our latest top device for front camera performance and is an easy recommendation for selfie photographers and video shooters alike. The Samsung’s front camera performs well in all areas and doesn’t display any real weaknesses when compared to the direct competition. In stills mode, some highlight clipping can occur in high-contrast scenes, and colors can look a little dull in low light, but otherwise the S10+ does very well in almost any shooting situation. It’s even harder to find any flaws worth mentioning about the Samsung’s video performance, making the Samsung Galaxy S10+ a deserving new front runner in the DxOMark Selfie ranking. With the Galaxy S10+, Samsung has released a device with a camera that is on par with the very best in our DxOMark Mobile ranking. For still images, the S10+ scores 114 points, convincing our testers with outstanding dynamic range as well as very good exposure, color, and bokeh simulation. The new Samsung is also capable of recording excellent video files, with pleasant color, good exposure, and smooth framing, thanks to very good image stabilization. The Galaxy S10+ comes with the best camera we’ve seen on a Samsung smartphone, and will no doubt be one of the devices to beat in 2019. Samsung has definitely outdone themselves this year with the release of the Galaxy S10 Plus. In many ways, it has also trumped the Galaxy Note9 in some aspects. It looks great, performs really well, has great cameras, sports a new fingerprint scanner, and comes with a large battery with wireless features. We’re still playing around with the S10 Plus so stay tuned for our full review. 93% Samsung Galaxy S10+ zu teuer aber dennoch gut? Schon wieder das beste Smartphone? Samsung Galaxy S10 (Plus) hands-on: è lui il migliore? 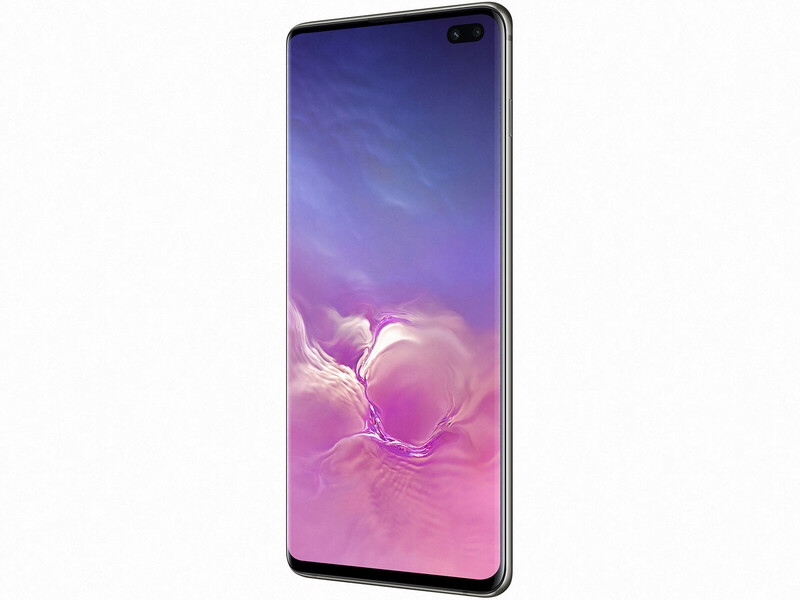 80% Samsung Galaxy S10+ - Tien voor 10? 92% Notre Test du Galaxy S10+ : le meilleur smartphone Samsung à ce jour ? 90% Test complet du Samsung Galaxy S10+ : la perfection (ou presque) ! 88.36%: Det här är ett bra betyg och över genomsnittet. Mellan 10 och 15% av de bärbara datorerna får som regel bättre betyg.